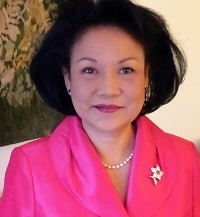 Lorna Romero-Tangara, President & Executive Director, is a seasoned executive with more than 25 years of work experience in the non-profit field. As the past Deputy Executive Director and Executive Director of Catholic Charities Straight & Narrow in Paterson, NJ from 1994-2005, she doubled the agency’s operating income from $8 million dollars to more than $17 million dollars and increased staff from about 120 to more than 300, serving clients in more than 20 programs in 3 counties in NJ. Straight & Narrow is the oldest and the largest residential drug and alcohol treatment facility in the State of NJ and operates a 20-bed Detox Hospital. Lorna was responsible in diversifying the Straight & Narrow business model by developing several programs that complemented the chemical dependency treatment model. She was also responsible in completing a $6.1 million 50-supportive housing units for Persons with AIDS with a rental subsidy of $3.4 million for 10 years. It is the largest in the State of NJ and continues to this day to stabilize the lives of those who are homeless and have HIV/AIDS. The supportive services on site have successfully delayed the onset of early institutionalization for those who have HIV/AIDS saving our taxpayers thousands of dollars annually. Through her successful grants writing as a certified grants specialist, Lorna Tangara won grants to build and operate two of the largest Abbott Schools in Paterson, NJ – La Vida One and La Vida Too, both NAEYC accredited, serving more than 400 of the poorest children and families in the area. The teachers come from all racial and ethnic backgrounds which make it a much sought after place of learning for children. She also won several collaborative grants for the agency inviting many City agencies to work together, thus, increasing the sustainability of programs and eliminating the duplication of services. One such program – FACES- Family & Children Early Education Services (which morphed into the Family Success Center), engaged hospitals and many non-profit agencies -St. Joseph’s Regional Medical Center, the Paterson School District, Rutgers Cooperative Extension, CASA, NJ4Cs, Hispanic Multi-Purpose Center, PCOIC, among others, to provide primary health care, nutrition education, adult education and work readiness training, among other services, to our children and their families; Bridges To Success, another large collaborative program involving more than 15 agencies that provided innovative approaches to end welfare as we knew it, assisted every welfare recipient who came through the doors, to identify barriers such as drug or alcohol use, mental health problems, lack of education or job readiness training and provided solutions so the clients can successfully re-enter the workforce and retain their jobs. This program surpassed State expectations on outcomes. Ms. Tangara also wrote a grant that created & funded the Parole Day Reporting Center, which helped parolees with addictions and mental health problems not only obtain treatment but also acquire job readiness skills to find jobs and stabilize their lives as they return into the community. Ms. Tangara was also responsible in developing the first Mommy & Me program, an innovative Residential Treatment program for women whose children are in DYFS custody. This program allowed these mothers to bring their children into treatment so they can learn to be mothers again, a program that was replicated in many parts of NJ. Ms. Tangara was relentless in developing other programs, making the lives of hundreds of children, adolescents, and adults as well as their families stronger and healthier. For her work, she was honored as an Unsung Heroine and received numerous State, Congressional and Mayoral citations. Lorna Tangara also worked for a Federally Qualified Health Care Center in Jersey City, Horizon Health Center and at Monmouth Medical Center’s psychiatric unit where she served many of our returning veterans from Iraq & Afghanistan presenting with mental health and addiction problems. She also worked at Spectrum Health Care’s Medical Day Care Center for Persons With AIDS (PWAS). She also spent more than 4 years in Kabul, Afghanistan from 1982-1986, working for the United Nations Development Programme as well as a volunteer for UNICEF. She worked tirelessly with mothers in the villages to improve general health conditions among their children and families. This experience formed her resolve to work in public health. While working for UNICEF in New York City, Lorna obtained her Master’s in Public Health (MPH) in International Community Health Education from New York University. She knew then that there was no other work that she would want to pursue other than improving the health and educational outcomes of children, adolescents, adults, and families. She works hard to ensure that the right services and program interventions are developed and implemented so that our families may live healthier lives and make our Country stronger. Lorna Tangara has 4 grown children, one of whom, Major Jonathan Tangara, currently in active duty in the United States Army, served valiantly and risked his life in Iraq. Ms. Tangara is currently the Executive Director of Morris County Aftercare Center (MCAC), an outpatient medication-assisted facility, licensed by the NJ Division of Mental Health & Addiction Services, serving clients from NY, PA, & Northern NJ. Ms. Tangara is in the process of merging Bridges To Success, Inc., where she is also the Executive Director, with MCAC, to provide outpatient, intensive outpatient, partial care & co-occurring treatment services to those who are addicted to drugs and alcohol and who also present with mental health problems, especially to our returning veterans from Iraq & Afghanistan, and veterans from all wars. Her first-hand experience with all the presenting medical and mental health needs of our veterans, who serve and risk their lives for our freedoms, sustains the agency’s mission and vision. There is not a day that she does not dream of the moment when supportive housing for our homeless veterans will materialize. Given her success in completing a $6.1M, 50-housing units, with supportive services, for Persons with AIDS in NJ, she is optimistic that that dream will come true for our veterans.